How Does Social Anxiety Affect Your Life ? Social anxiety disorder affects approximately 15 million American adults and is the second most commonly diagnosed anxiety disorder following specific phobia. The average age of onset for social anxiety disorder is during the teenage years. Although individuals diagnosed with social anxiety disorder commonly report extreme shyness in childhood, it is important to note that this disorder is not simply shyness that has been inappropriately medicated. can interfere significantly with daily routines, occupational performance, or social life, making it difficult to complete school, interview and get a job, and have friendships and romantic relationships. People with social anxiety disorder are also at an increased risk for developing major depressive disorder and alcohol use disorders. Despite the availability of effective treatments, fewer than 5% of people of with social anxiety disorder seek treatment in the year following initial onset and more than a third of people report symptoms for 10 or more years before seeking help. The defining feature of social anxiety is intense anxiety or fear of being judged, negatively evaluated, or rejected in a social or performance situation. People with social anxiety disorder may worry about acting or appearing visibly anxious (e.g., blushing, stumbling over words), or being viewed as stupid, awkward, or boring. As a result, they often avoid social or performance situations, and when a situation cannot be avoided, they experience significant anxiety and distress. Many people with social anxiety disorder also experience strong physical symptoms, such as a rapid heart rate, nausea, and sweating, and may experience full-blown attacks when confronting a feared situation. Although they recognize that their fear is excessive and unreasonable, people with social anxiety disorder often feel powerless against their anxiety. Social anxiety disorder can be overcome, although it takes both consistency and persistence. A successful therapy program for social anxiety disorder must address the dozens of cognitive methods, strategies, and concepts that will allow people's brains (i.e., their brain associations or neural pathways) to literally change. The brain is continually learning, and irrational thoughts and beliefs can change as a result of this cognitive process. A good therapy program will supply the necessary and specific strategies as well as indicate to people how and why they need to practice, work on, and begin to accept rational thoughts, beliefs, emotions, and perceptions. How to Manage and Treat Anxiety? Anxiety is defined by the dual characteristics of physiologic hyperarousal and excessive emotional fear. Biofeedback has demonstrated value for hyperarousal reduction and offers a non-pharmacological approach to direct symptom reduction tailored to the individual’s psycho-physiological profile. Heart Rate Variability (HRV) is one type of biofeedback. It uses finger or earlobe with sensors to measure the functioning of the heart by diaphragmatic breathing. Breathing activates Vagal nerve, which descends from the brain in the carotid sheath all the way to you diaphragm. The vagal nerve slows your heart rate. A stress response to anything such as a difficult conversation, traffic, or studying changes your heart rate independently of the breathing-related variation to irregular changes. In contrast, when we breathe even, natural, and smooth, you get smooth heart rate waves which are associated with health and peak performance. When a person inhales, heart rate increases. When a person exhales, heart rate decreases. This is referred to as “heart rate variability.” Higher rate variability is associated with favorable holistic health. Clients are taught smooth diaphragmatic breathing, psychological mindfulness, and adaptive responsiveness. One of the main advantages of using biofeedback for anxiety is managing it without medication or its side effects. It eliminate health problems that are stress- related or that have psychosomatic components. Biofeedback teaches awareness, relaxation skills and ways to manage anxiety & recognize, reduce, and control stress responses by returning the body to a healthier physiological state. How to Screen for Social Anxiety? If you have noticed some anxiety or think you might suffer from social anxiety, but are on the fence contacting a health care professional you can use the questions below as a guidance to share the results with your provider when you're ready to get some help. Are you bothered by the following? Does a dreaded situation cause you to...? Go to great lengths to avoid participating? Social anxiety may also be connected to other diagnoses such as depression. In addition, substance abuse, in particular alcohol is used most of the time as a way to cope with social anxiety. The questions below can help distinguish between social anxiety, depression, and/or substance abuse. Have you experienced changes in sleeping or eating habits? More days than not do you feel sad or depressed? Are you not interested in life? Do you feel worthless or guilty? During the last year, have the use of alcohol or drugs been helpful to cope with? Has your use placed you in a dangerous situation, such as driving a car under the influence? Do you continue despite problems you might have because of the use? If you answer yest to most of these questions, it is highly recommended you reach out to a health care provider to get treatment for a more fulfilling life. Is Anxiety Interfering With Your Sleep? Over 18% of nation’s population experience anxiety disorders, and the majority of them have sleep –related problems. The lack of sleep can increase not only anxiety but other mood related issues such as depression, anger, irritability, and/or muscle pain. If anxiety or disrupted sleep crops up occasionally, these simple strategies may help you relax your body and mind so you can get the sleep that you need. A healthy bedtime routine allows your body and mind to slow down. Take at least half an hour before bed to play quiet music, take a bath, or read a book. 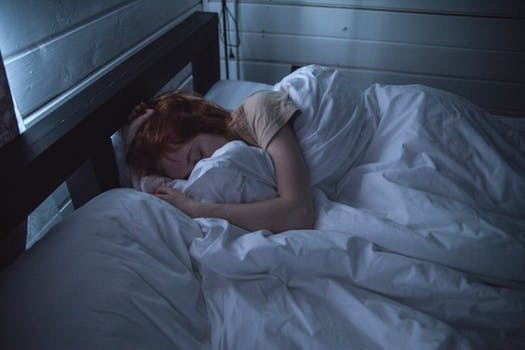 Deem the lights one hour before you go to sleep; Avoid electronics an hour or more before your sleep; Spend a few minutes before bed using diaphragmatic breathing to help relax. Steer clear of stressful activities before bed. Leave the bill paying for earlier in the day, stay away from heated social media exchanges, and skip the evening news. Put your to-dos on paper. Instead of letting your brain swirl with all the things that you don’t want to forget to take care of, write them down so your brain can relax and let go. It’s not always easy to tell if your symptoms are an indication of an anxiety disorder or just the normal amount of worry. Certain situations, especially the ones we don’t like, can cause our anxiety symptoms to spike. Moving, changes in relationships, financial troubles, and speaking in public can all trigger these spikes. If your anxiety has spiked out of control, or has become debilitating to you by interfering with your daily life, it might be time to seek professional help. What Are Social Anxiety Symptoms? Social anxiety disorder affects approximately 15 million American adults and is the second most commonly diagnosed anxiety disorder following specific phobia. The average age of onset for social anxiety disorder is during the teenage years. Some might dread meeting new people, dating, being on a job interview, answering a question in class, or having to talk to a cashier in a store, others might avoid only some of the scenarios above. Most people with social anxiety do not talk about it and might not understand why they feel fine in certain situations but not in others. Some might feel physical symptoms of anxiety in situations such as giving a speech, playing a sports game, or dancing or playing a musical instrument on stage. 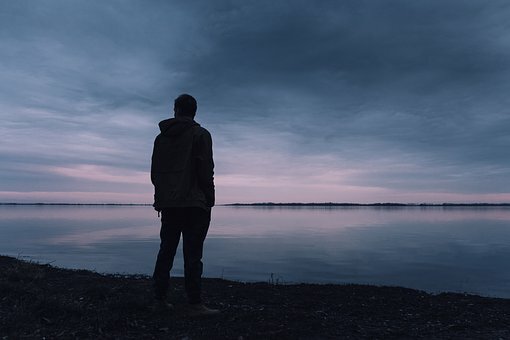 The defining feature of social anxiety disorder is intense anxiety or fear of being judged, negatively evaluated, or rejected in a social or performance situation. 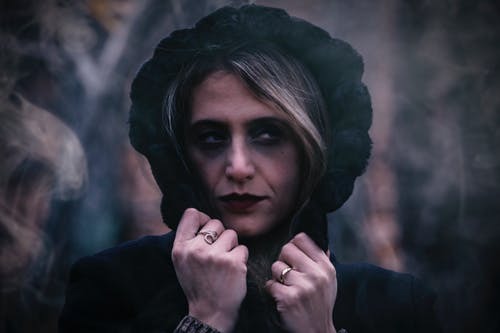 Because people with social anxiety disorder may worry about acting or appearing visibly anxious, they often avoid social or performance situations, and when a situation cannot be avoided, they experience significant anxiety and distress. Although they recognize that their fear is excessive and unreasonable, they often feel powerless against their anxiety. The first step to effective treatment is to have a diagnosis made, usually by a mental health specialist. Without treatment, social anxiety disorder can prevent a person from reaching their full potential. You may feel anxious about contacting a psychologist. That anxiety is perfectly normal. But having the courage to make a call is the first step in the process to empower yourself and bring a sense of relief to get the help you need. Know when you're at your best morning, afternoon, or evening, and schedule your appointment accordingly. Consider work schedule and if you have to take time off from work, you might want to schedule your first appointment later in the day so you don't have to go back to work afterward. If you have an upsetting topic to discuss, you may be tired, emotionally spent, puffy-eyed or distracted after your first session. Unless it is a family session, choose a time when you will have child care available. Try to schedule your session at a time when you won't have to rush to your appointment or to your next commitment after the session. Hope this helps alleviate the anxiety of taking the first step. Best of luck! Because of the many misconceptions about psychotherapy, you may be reluctant to seek help. It may be stigma, your own judgment, or you may feel nervous about trying it. Overcoming these blocks may be worth it because any time your quality of life isn’t what you want it to be, psychotherapy can help. Some people seek psychotherapy because they have felt depressed, anxious, or angry for a long time. Others may want help for a chronic illness that is interfering with their emotional or physical well-being. Still, most people have short-term problems they need help navigating. They may be going through a divorce, having relationship concerns, feeling overwhelmed by a new job or grieving a family member's death. You worry excessively, expect the worst and are constantly on edge. The treatment you receive will depend on a variety of factors: current psychological research, your psychologist's theoretical orientation and what works best for your situation. The most important factor to consider is whether your psychologist has the expertise in the area you need help with and whether your psychologist feels he or she can help you.